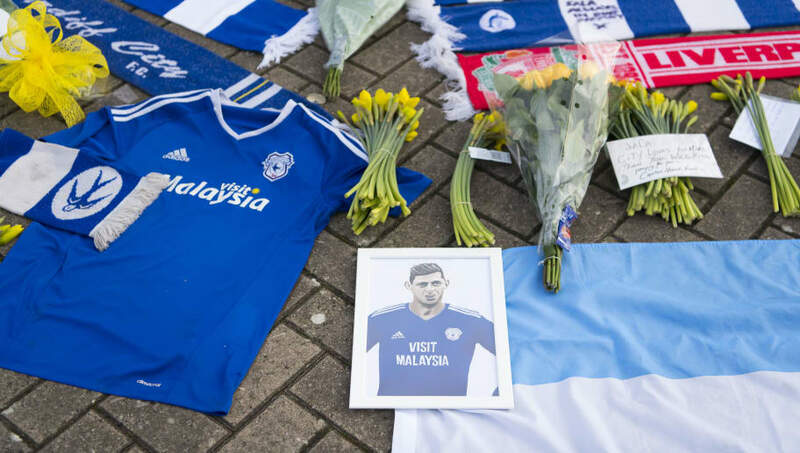 ​The family of missing Cardiff City striker Emiliano Sala will fund a private search for the forward after several of football's biggest names helped raise £260,000 to continue the search. After agreeing to sign for ​Cardiff, Sala and pilot Dave Ibbotson embarked on a flight to bring Sala to Wales on Monday, only for the plane to disappear from radars. The search for the missing plane was conducted for several days, before police officials made the decision to end the search on Thursday after failing to find any trace of either the plane or the two on board. A GoFundMe campaign was set up to help finance a new search and, according to ​The Daily Mail, it has raised nearly £260,000. The public have been incredibly influential in helping the campaign reach its target, but sizeable donations from ​Premier League stars Laurent Koscielny and Ilkay Gundogan, as well as Paris Saint-Germain's Adrien Rabiot, ensured that the family will have enough money to hire two new search boats to continue to search the area. A message on the GoFundMe page read: "This fund was created in response to the urgency of the situation and the authorities' decision not to pursue the search. "Its sole objective, through a specialized non-profit organization, is to help the family of Emiliano and pilot Dave Ibbotson continue the search. Thank you for helping with the amount you want. "We hope to cover the maximum expenses related to our quest. The family and we thank you once again for your exceptional generosity: players, clubs, staffs and anonymous." French footballers Nordi Mukiele and Geoffrey Kondogbia also donated to the cause, whilst ​Barcelona star ​Lionel Messi and new ​Chelsea signing ​Gonzalo Higuain both campaigned on social media for the search to be continued. The family of Sala also contacted Argentinian President Mauricio Macri, asking him to speak to the British and French governments in an attempt to continue the search. A statement issued by the President's office said: "President Mauricio Macri has instructed his Foreign Minister Jorge Faurie to make a formal request to the governments of Great Britain and France for them to seek the continuance of the search efforts."